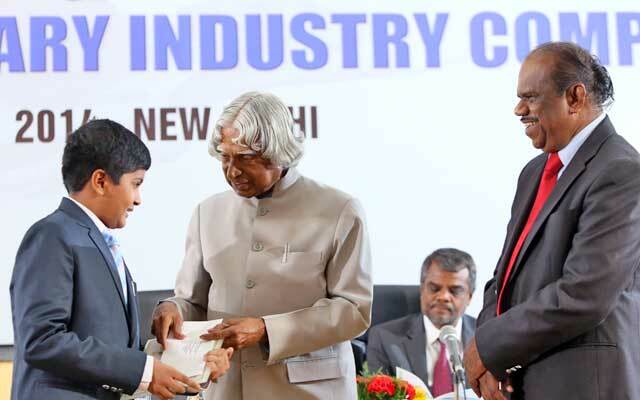 Master Aswath Suryanarayanan, student of class VIII, PSBB Millennium School, Chennai, Tamil Nadu, receiving the award from Dr. APJ Abdul Kalam, former President of India and Dr. A S Pillai, CEO & MD, BrahMos Aerospace. A BNS photo. NEW DELHI (BNS): BrahMos Aerospace on Thursday honoured four student winners with "Best Student Award" for their novel & innovative ideas in Science & Technology, at a function held to celebrate BrahMos Day. 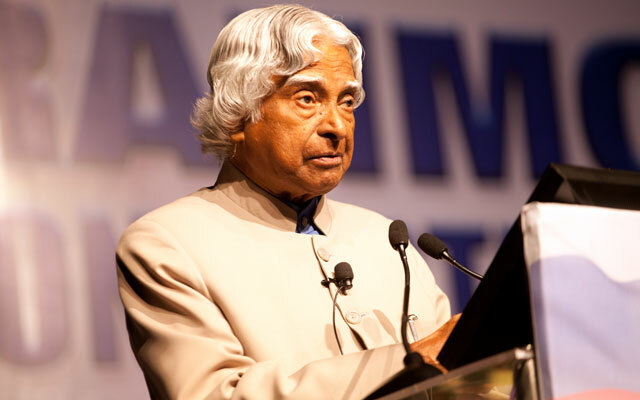 Dr. APJ Abdul Kalam, former President of India and Dr. A S Pillai, CEO & MD, BrahMos Aerospace, felicitated the winning students for their creative concepts selected from several entries submitted by students all over the country. Brahmand.com- a website dedicated for defence & aerospace, hosted the "Science & Tech Quest 2014" with an aim to give exposure to the hidden and technically credible ideas of young minds. The competition was held in two categories - senior category (Young Engineers/ Science Graduates) and Junior Category (School Students of Class VII to XII). Winner of the senior category, Mr. Jijo Paul, a student of Rajagiri School of Engineering & Technology, Kerala, won the award for his proposal on XEROBOT- A Multipurpose Process Automation Robot. The winners, Master Aswath Suryanarayanan, a student of class VIII, PSBB Millennium School, Chennai, Tamil Nadu, submitted a project titled 'Magnetically Operated Kinetic (MAGO'KIN) Car' which offers an alternative to reduce global carbon footprint by using a magnetically operated kinetic car. Master Abhishek R Nair and Master Jibitesh J Saha, students of class IX, Arya Gurukul School, Kalyan East, Mumbai, Maharashtra, also won the award in the Junior Category for their joint project titled 'The Spartan' fighter jet. BrahMos Aerospace celebrated 16 glorious years of its existence Thursday highlighting the deep-rooted strategic partnership between India and Russia. 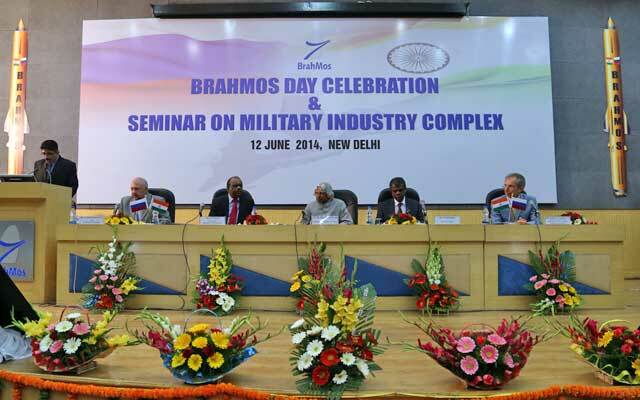 A seminar on Military Industry Complex was also held to commemorate the day.